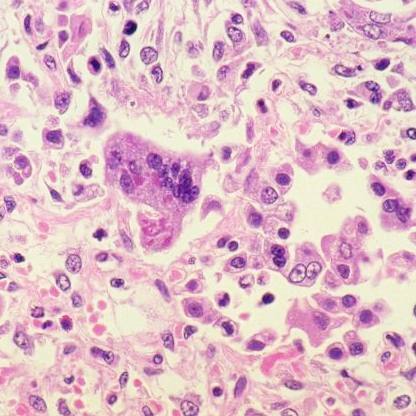 Mouse lung with several tumors, which can be prevented by high levels of BubR1. 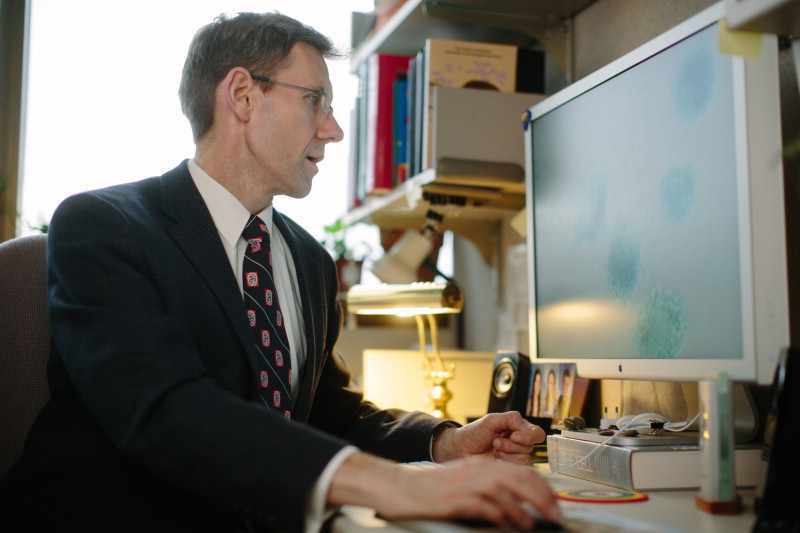 ROCHESTER, Minn. – In a paper published recently in the journal eLife, Mayo Clinic scientists take a step toward translating the protein BubR1’s function into a potential therapy for cancer. “Cancer really becomes the top priority,” adds Robbyn Weaver, a Mayo Graduate School student in Dr. van Deursen’s lab and first author on the paper. Previous work by Dr. van Deursen’s lab and others have used the BubR1 animal model to investigate aging. This paper instead examines how BubR1 strengthens the quality control checkpoints within cells, ensuring they divide properly. Researcher Jan van Deursen, Ph.D. The authors report that, of the mutant proteins tested, two were able to prevent cancer in the mouse models: high levels of the entire protein and high levels of the protein missing an internal binding domain to Cdc20, a binding partner that activates the anaphase -promoting complex, which allows mitosis to proceed to the next stage of the cell cycle. By controlling the shuffling of genetic information, cancer cells could, in theory, lose a powerful way to develop resistance to cancer therapies. With this paper, Weaver and her co-authors begin the process of understanding how components of the BubR1 protein work to see if there’s one particular component that would be easier to manipulate into a cancer therapy.